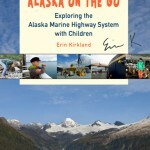 Enjoy an unsigned copy of Alaska on the Go: Exploring the Alaska Marine Highway System with Children. It’s a perfect companion book for family travel planning in Alaska, or the perfect gift for friends and family visiting the Last Frontier. 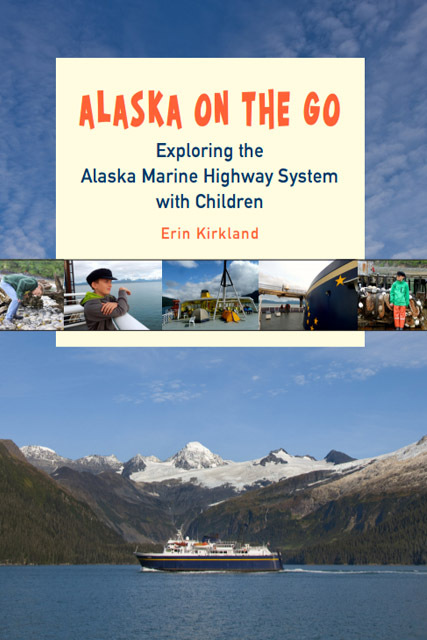 INSIDE: Find over 300 pages filled with insightful travel tips, community highlights, photos, fun parent and kid quotes, maps, and the sort of advice only an Alaskan parent and experienced traveler can provide. 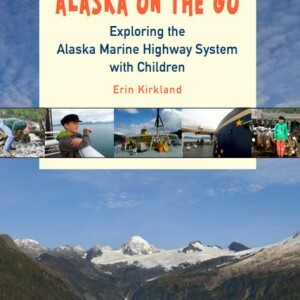 Alaska on the GO: Exploring the Alaska Marine Highway System with Children is written in Erin Kirkland’s usual style with a blend of humor and sincerity that makes this travel book a joy to read while being a valuable tool to help your family make the most of your Alaska adventure. 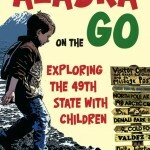 I wish this book had been available when I first visited Alaska... especially with 4 children. Next time I'll have a signed copy in hand! The only family travel guide written by a current Alaskan, Alaska on the GO makes the state more accessible than ever. Whether traveling via car, cruise ship, or dog sled, this practical, portable guide will open up a new world of memorable adventures. Listen to the full program: TuneIn.com.